The percentage depletion deduction has been a part of the U.S. tax code since 1926. Depletion is a form of depreciation for mineral resources that allows for a deduction from taxable income to reflect the declining production of reserves over time. For oil and natural gas producers, percentage depletion is a small producer issue. Percentage depletion is only allowed for independent producers and royalty owners. It is calculated by applying a 15 percent reduction to the taxable gross income of a productive well’s property. The reduction is determined on a property-by property basis and is limited to the taxpayer’s first 1,000 barrels of oil (or 6,000 mcf of natural gas) of production per day. It is also capped at the net income of a well and limited to 65 percent of the taxpayer’s net income. Because of these restrictions, only small independent producers and royalty owners are users of the percentage depletion deduction. 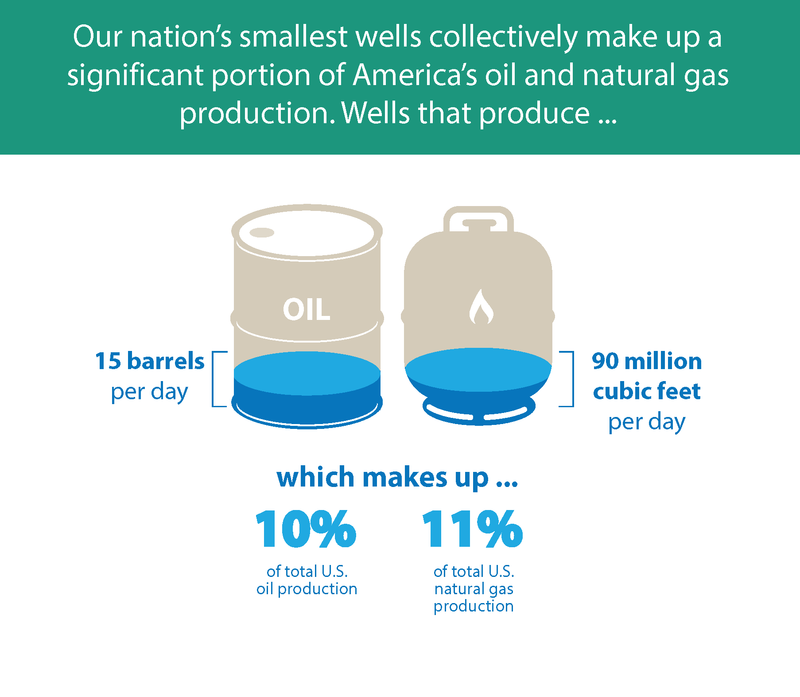 However, believe it or not, our nation’s smallest wells collectively make up a significant portion of America’s oil and natural gas production. On average, these wells produce less than 15 barrels of oil per day, yet account for nearly 19 percent of U.S. oil production and less than 90 thousand cubic feet per day, yet account for 12 percent of U.S. natural gas. Percentage depletion enables smaller operations to recover some of the high costs associated with keeping these marginal wells up and running. Why is Percentage Depletion Important? The percentage depletion deduction is not a credit; it’s not a subsidy; it’s most certainly not a handout. This deduction is a standard part of the American tax code that supports the development of U.S. oil and natural gas—and an array of other mineral resources—that would otherwise be uneconomic to produce. This provision also enables independent producers—businesses with an average of 12 employees—to retain revenues that are vital to future investment and operation of America’s oil and natural gas wells. Thanks to percentage depletion, these operators are able to retain their earnings and many are reinvesting 150 percent of their cash flow back into American energy development, strengthening our nation’s energy future while employing thousands of men and women across the nation. Royalty owners – men, women and children who live in all 50 U.S. states – also rely on this important tax provision and the value it confers upon the resources they own. The International Energy Agency has projected that the U.S. could be the world’s largest oil producing country by 2020, providing valuable energy and national security benefits for the nation. Loss of percentage depletion would place marginal well production in jeopardy – threatening American energy development, federal and state revenues, and thousands of good-paying American jobs. Why Can Percentage Depletion Exceed the Cost of the Well? The short answer is: Congress wanted it that way. Before the percentage depletion deduction was created, only a deduction called “cost depletion” was allowed for mineral resources. Congress discovered that American mineral resources – including oil and natural gas – were being shut down and lost forever if only cost depletion was available. Congress created the concept of “value depletion” that ultimately took the form of percentage depletion. It led to robust development of American minerals and remains a key factor for many mineral development projects. For oil and natural gas production – despite all of the constraints and limitations – percentage depletion plays its significant role in keeping America’s marginal wells producing.